Every passenger needs their own myconnect loaded with money, except for children under four years old and less than one metre tall, who travel free. Fares are based on distance in kilometres travelled, when you tap in at the start of your journey and whether you have Mover or Standard loaded onto your myconnect card. Your fare depends on when you tap in at the start of your journey, regardless of when you end it. You pay up to 30% more if your journey starts in the Peak fare period (weekdays between 06:45-08:00 and 16:15-17:30). All journeys that start outside of these hours on weekdays, as well as all day on weekends and public holidays, fall in the Saver fare period, where you pay less. Load a MyCiTi Mover travel package onto your myconnect card and save at up to 30% on fares at all times. Mover packages are available in packages of R35, R50, R60, R80, R100, R150, R200, R300, R400 and R600. Money is loaded as points onto the myconnect card and there are no load fees, so you will receive 50 points for loading a R50 Mover package. Mover points are valid for three years, so even occasional users benefit. 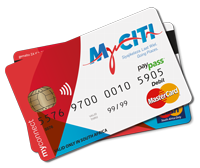 Mover packages are available from MyCiTi station kiosks, participating retailers and cash-accepting Absa ATMs. You will be charged for the distance in kilometres travelled, grouped into distance bands of 0-5km, 5-10km, 10-20km, 20-30km, 30-40km, 40-50km, 50-60km, and 60km or more. The distance for each journey is calculated from where you tap in at the start of your journey to where you tap out at your final destination. You will be charged a boarding fare when you start your journey and the remainder of your fare, if any, when you tap out at your destination. Your journey can include transfers and stops along the way. 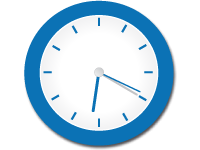 Leave any station or bus for up to 45 minutes at a time before tapping in again to continue on the route or to transfer to another. You will be charged one fare based on the accumulated distance travelled as long as you haven't left any station or stop for 45 minutes or more, and provided there is less than 2.5 hours between your first and last tap in. This benefit does not apply to return journeys. Journeys connecting with the Airport attract an additional charge of either R52.10 (Mover) or R73 (Standard).